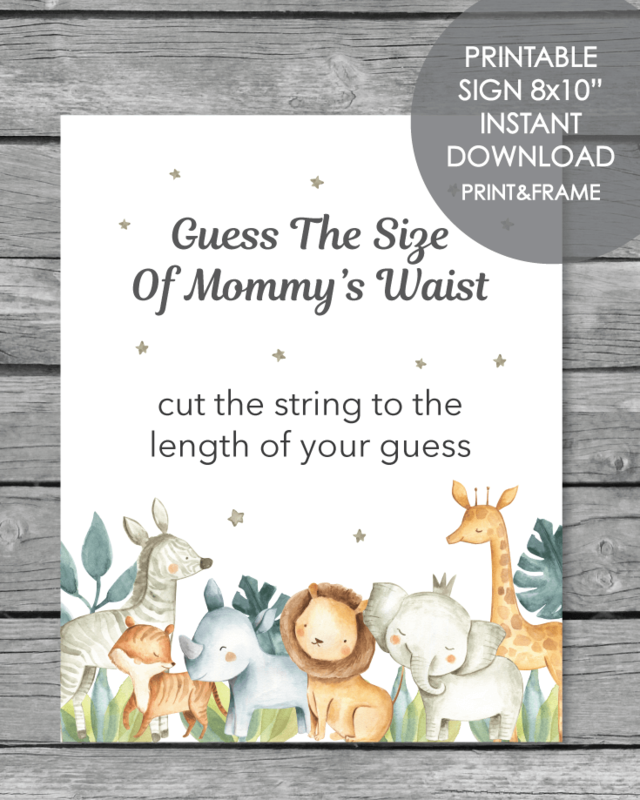 Printable Guess The Size Of Mommy's Waist - Jungle Safari Animals Theme - 8x10"
Print, pop into an 8x10" picture frame, place on the table next to yarn and scissors. 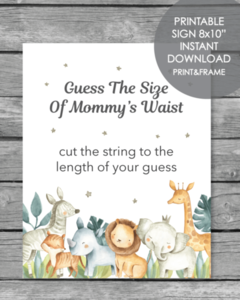 Have guests cut the yarn to the length they think would fit around mommy's belly. The guest who comes the closest wins a prize! Save the file to your computer and keep it forever. Print unlimited copies, anytime you need them.